Ref. 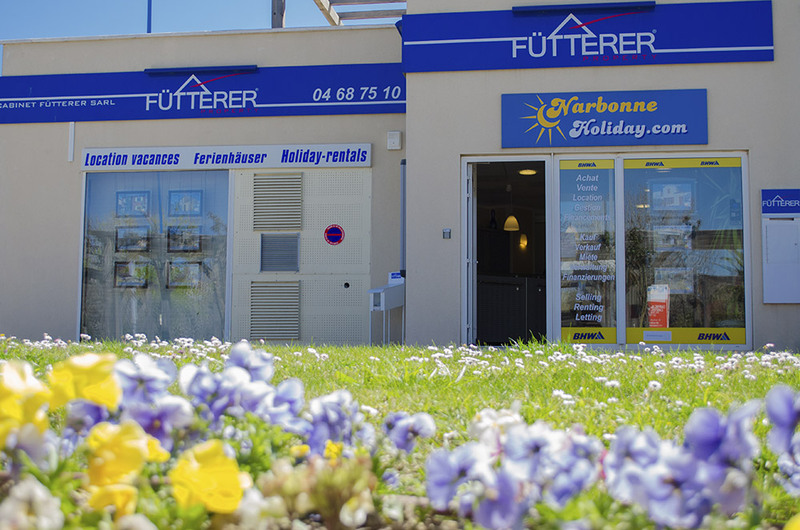 2981 - Fütterer Property presents in Gruissan - Les Ayguades : Pavilion 1 room + mezzanine sold furnished and redone which consists on the ground floor of a living / dining room with a kitchen and a tiled bathroom with toilet. On the floor, a mezzanine entirely closed with a velux to bring brightness and numerous tidying up (5 cupboards). The mezzanine portion is isolated from the rest of the house by a door to create an independent sleeping area. The pavilion has a south facing garden of 17m². The property is sold with an assigned parking which is located in front of the housing. 5 minutes from the Ayguades beach. Subject to the status of the condominium - Co-ownership fees : 600€/year - Co-ownership of 561 lots.